Finding reliable and affordable repair services for your Saratoga garage doors can be frustrating. Fortunately, you can look to the team at Precision Garage Doors if you need to get any Saratoga garage door opener repair. Our company offers a variety of services including door track repair, broken springs repair, door track cleaning and door panel replacement. We can also fix a noisy garage door and door balance problems. Stop by our office at 35 Quail Court, Suite 301 Walnut Creek, CA 94596 to schedule a service in your home today or give us a call at 1-866-949-3722. Our award-winning company has been known for delivering excellent service for garage door repair in Saratogafor over 20 years. 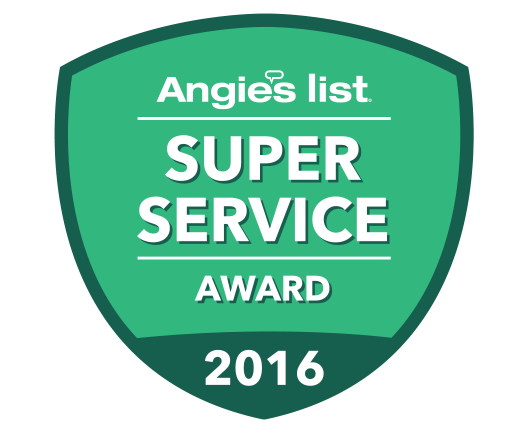 We have been recognized by Angie's List and Home Advisor. 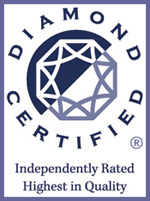 We are also a Diamond-Certified company. Additionally, we are recognized by the Better Business Bureau. Our technicians always go above and beyond when performing Saratoga garage door opener repair, door track repair, or any other service offered. Our team has been background-checked and drug-tested before they are hired to work for our company. We will perform Saratoga garage door repair as quickly and reliably as possible. We will diagnose the problems. After that, we will fix any issue with your garage door system. We can also perform Saratoga garage door maintenance. Our trusted team can handle any job that you need done for you garage doors in Saratoga. If you garage doors have become difficult to open then you may be in need of a new pair of Saratoga garage door openers. Replacing these alone can be difficult even knowing what springs to get but fortunatly our trusted team carries all of the best garage door openers in Saratoga and can get them installed quickly. If your home's garage door opener in Saratoga is on it's last legs contact our team of specialists to replace it. You can rest easy knowing that we have experience with all major brands of garage door openers including Liftmaster, Chamberlain, Marantec, Sears, Overhead Door, Raynor, Stanely, Craftsman, and MORE! If your home happens to still have spring garage doors, properly functioning garage door springs in Saratoga will ensure safer and easier to open garage doors. This might seem like a simple repair but replacing heavy duty springs such as the ones on your garage door can be extremely dangerous alone. Our trusted specialists always reccomend seeking the help of a professional company like ours to make sure the process is done safely and quickly through proper installation. Contact us if you feel that your home may be due for a Saratoga garage door spring replacement. You can get a Saratoga garage door safety inspection for an affordable price. We have military, teacher and senior citizen discounts. We also donate a portion of profit to breast cancer research. An inspection will ensure that there is nothing wrong with your garage door. Small problems are much easier to correct if they are caught early, don't wait. Our team of professionals at Precision Garage Doors, are proud to be the Bay Area's leading experts for all your garage door needs. 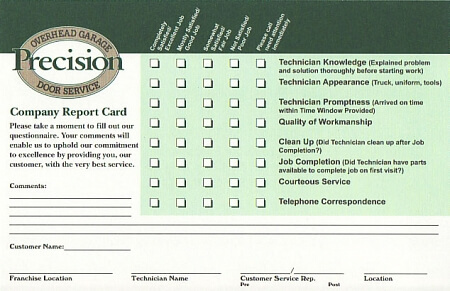 We are trained and certified to service or replace all major brands of garage doors in Saratoga. We accept all major credit cards and your satisfaction is always guaranteed when you get contract our services. Remember, we're the expert garage door professionals you've Seen On TV! So give us a call today and worry about your Saratoga garage door no longer at 1-866-949-3722. "The technician arrived on time and was able to make all repairs and replace my broken garage door springs in less than two hours. I found Precision Door Service on Yelp and chose them because of their great ratings and same day availability. Great work!! Thank you!!" "James did a great job fixing our garage door. Pleasant to deal with and was very efficient with his time. 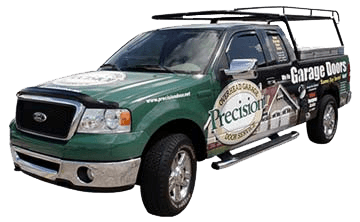 I would recommend Precision Door Service to my friends and family." "Mike was finally someone who knew what they're doing, paid attention to detail, and safety was his utmost concern when repairing my garage door. Mike was efficient and cleaned up after the job. He is an excellent tech." "Ricky gave us great customer service. Would highly recommend Precision to friends and family"
Doug,Thank you for taking the time to review our work and your kind words. Ricky is a hard working young man. It was our pleasure to serve you. "So nice to have Paulino complete the job the same day, even on a Saturday! Thank you." "Fast service, knowledgable technician, and helpful attitude"
"Matt was efficient and explained the working of the door. He wa seven tidy in cleaning up! I enjoyed working with him. I wa frustrated job was not completely don eon Friday but understand things happen." Diane,Thank you for your feedback. I apologize we did not finish the install on Friday. We complete 98%+ of our jobs on the same day. If there is anything we can do to ever help you, please let us know. We appreciate your business.